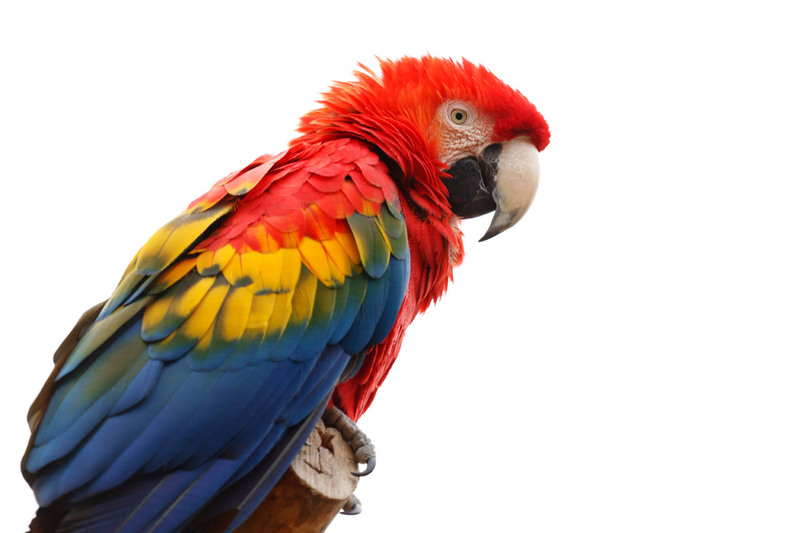 Scarlet macaw one of the most beautiful bird in parrot family. We all love parrot because they are colorful, beautiful and playful bird. Maybe some of us would like to keep it as a pet. Anyway with the population of parrot that decreasing in their natural habitat we need to think it through before we decide to take it out of their lovely home. 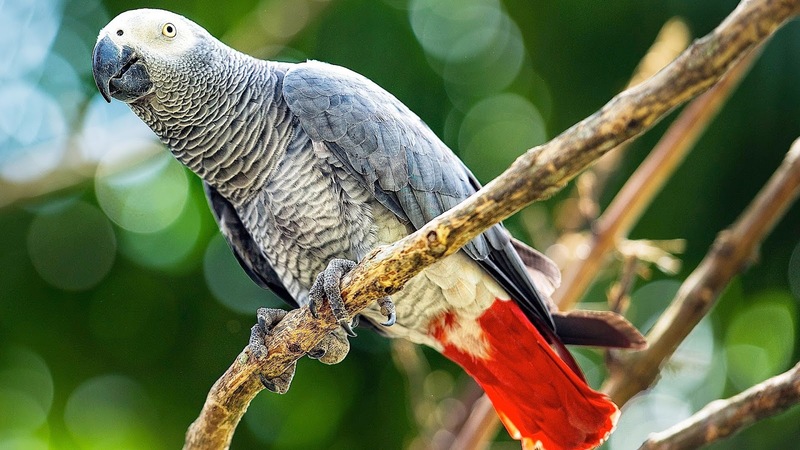 The best things you want to know about parrot that there are large species of parrot consist under the order of Psittaciformes which includes cockatoos (family Cacatuidae). 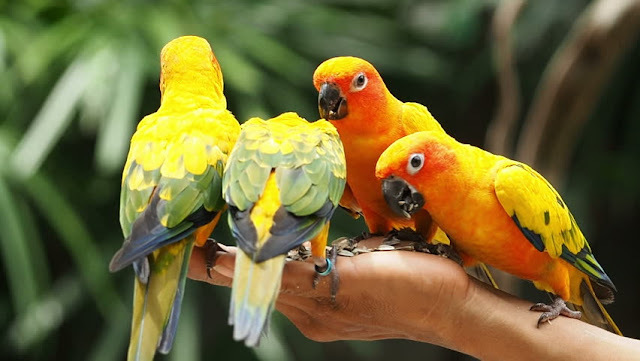 Even though parrots have close relationship with human as pet since long time ago, they still suite better with their natural environment - because bird needs to fly to be bird. Anyway the captive birds show intelligent with amusing behaviors, affectionate with human and other animals and even imitative many sounds, including human speech. 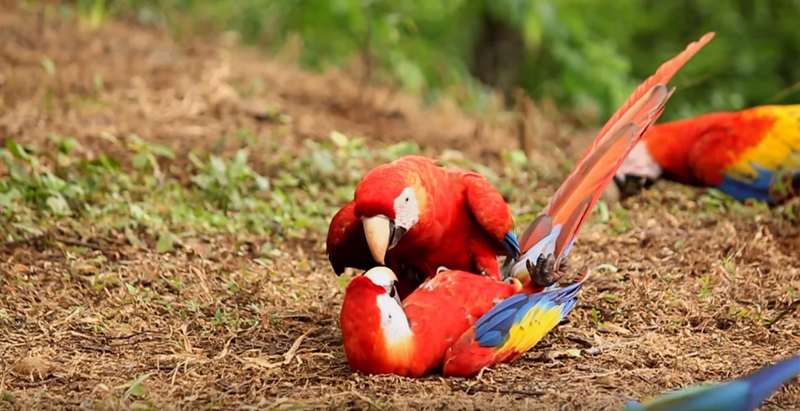 Parrots are playful bird, as can be seen here in the photo. 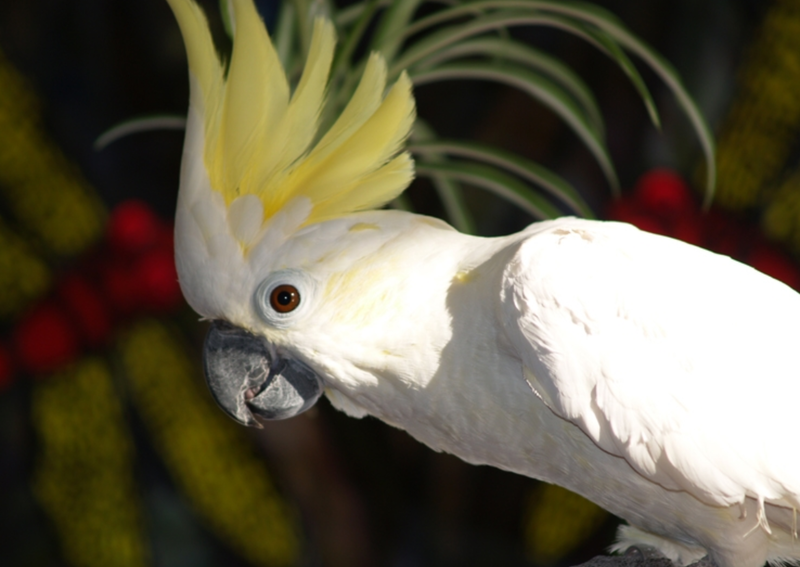 Cockatoo, notorious with their ability to imitate human speech. 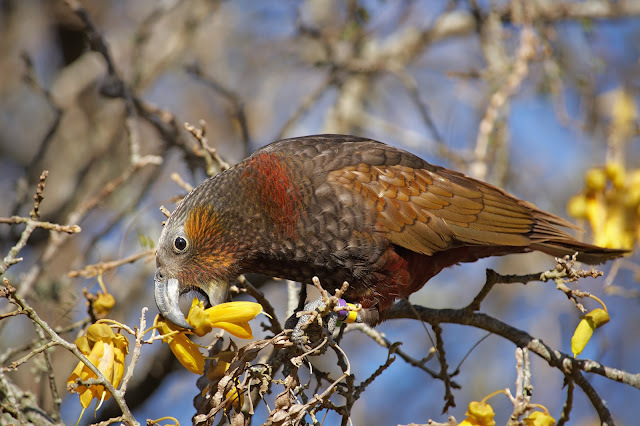 The order Psittaciformes are divided into three superfamilies: the Psittacoidea ("true" parrots), the Cacatuoidea (cockatoos), and the Strigopoidea (New Zealand parrots). 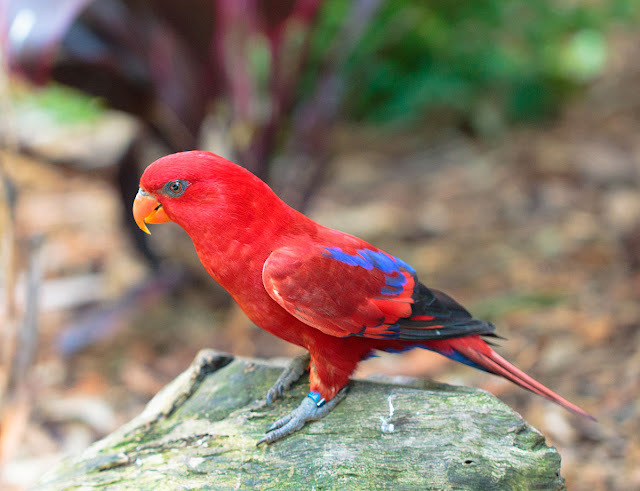 Most parrot live in topical and sub-tropical region with several species can be found in temperate region in Southern Hemisphere. 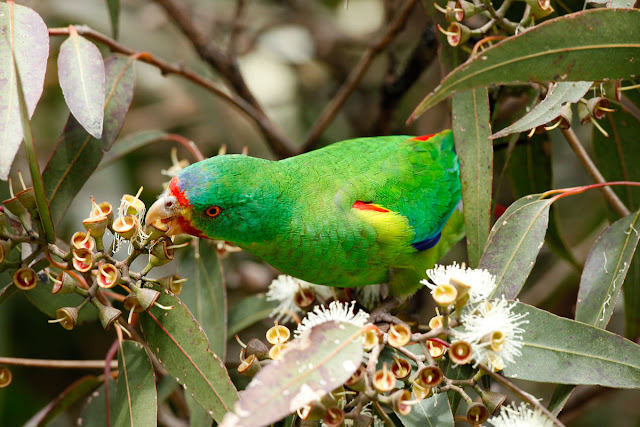 The large diversity of parrots is in South America and Australia. 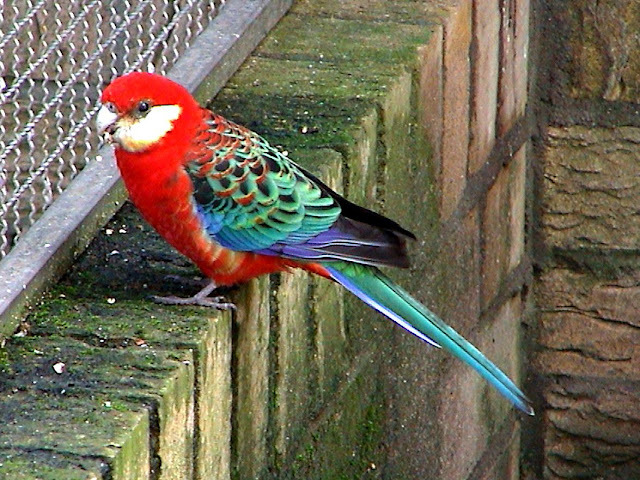 There are 387 extent species under order Psittaciformes belonging to 87 genera with the main classification. African grey parrot from Africa. 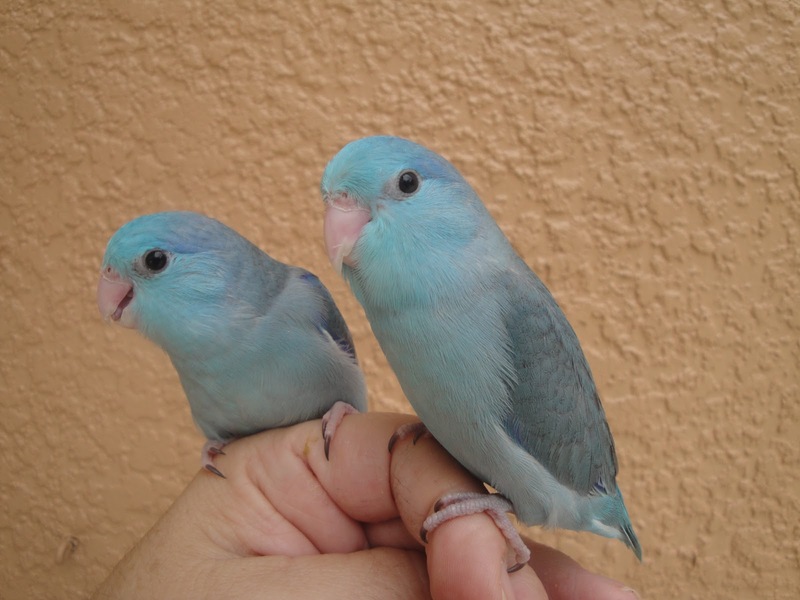 Golden parakeet is native to Brazil. New Zealand kākā is one of few species in New Zealand. From all of the species, 15 of them are already extinct and many other are listed under “Near threatened” to “Critically endangered” in the IUCN Red List categories Conservation status. So in order to ensure these species keep on survives as long as we can, we need to learn more about them and preserve as much as we can their natural habitat. Swift parrot another small species from Australia. Western rosella - also from Australia.